Building Blocks Series: Ready to Learn About Blockchain in CRE? Manhattan’s office leasing market looks “strong and healthy” despite a modest slowdown in overall leasing activity, said Nicole LaRusso, director of research and analysis for CBRE Tri-State. The 6.94 million square feet of first-quarter leasing was off 2% from the five-year quarterly average, although asking rents were up 8% from a year ago. 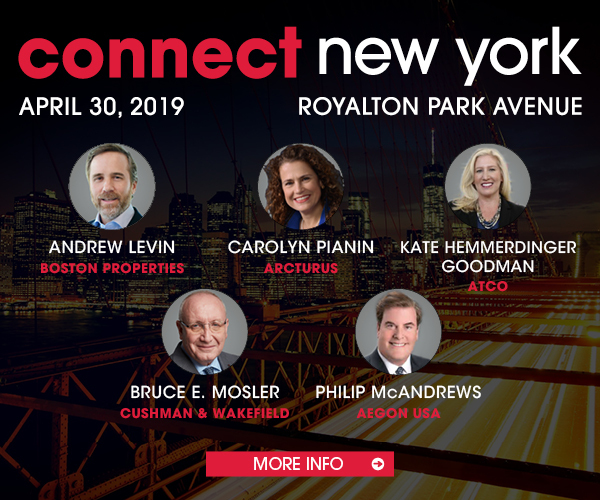 Connect New York is coming up on April 30! Click here to register for the event. Condo Development Stymied . . . by Opportunity Zones?